When you decorate a classroom or play area, there are a lot of aspects to consider. While walls and ceilings are prime real estate, floors shouldn’t be ignored. You’re of course going to want to populate your class with chairs, desks, and other classroom essentials, but how much thought have you put into including rugs for kids? 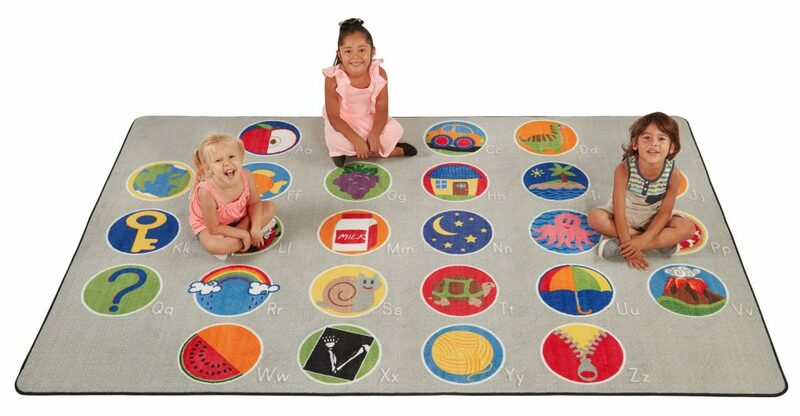 Quality rugs are a perfect touch in any daycare or classroom—especially when they’re kid-focused! 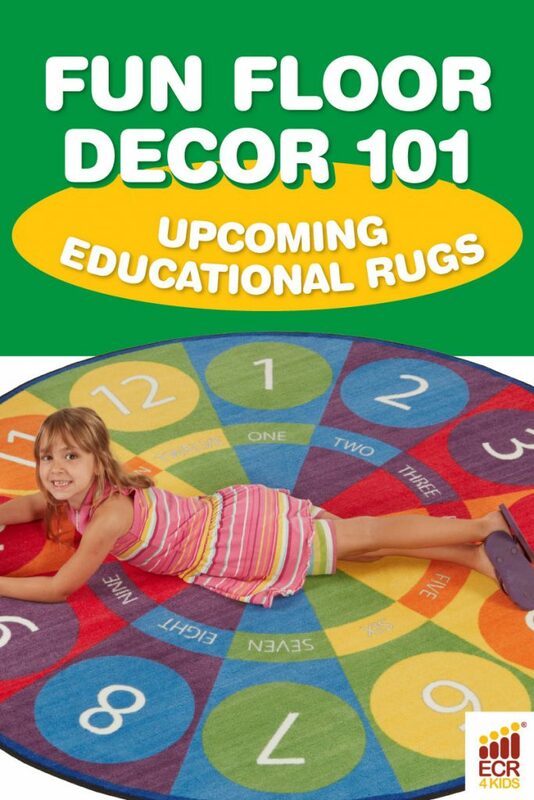 ECR4Kids is releasing a series of vibrant rugs that inform and entertain. The release date isn’t set, but we couldn’t help but sneak out a few designs to showcase for you. You can never be too efficient with your space. That’s why you’ll see a trend in these rugs—they always serve more than one function! The alphabet is sprawled across this 6’x9′ carpet, each letter with its own bright picture. This type of rug is perfect for organizing your class quickly. Assign each student a letter to sit at, and every time attendance or story time is called, have students return to their spot! Between the learning activities and kids just enjoying the pictures, this rug will get a lot of mileage. The world is a big place. Kids can get a head start on discovering continents and the species that live there with the Animals of the World rug! From Africa’s lions to Antarctica’s seals, this map provides a delightful area for kids to play and learn. If you thought the world was a big place, just wait until you get out of it. The solar system has never been friendlier (or softer) than with this star-spangled oval rug. The shape of this rug is perfect for circling up! We showed you some cool stuff, but don’t worry—we have plenty more in store. Stay tuned to our Facebook page for more rug designs, not to mention helpful blogs and giveaways! Don’t forget to follow ECR4Kids on Pinterest or our blog via email for more of these posts!